One of my favorite comfort food. I can cook and eat any dish with bitter melon. Season fish with a little salt and fry in hot oil. Set aside. In a clean pan, heat and add 2 tablespoon cooking oil. Add garlic and onion. Saute for 2 minutes until aromatic. 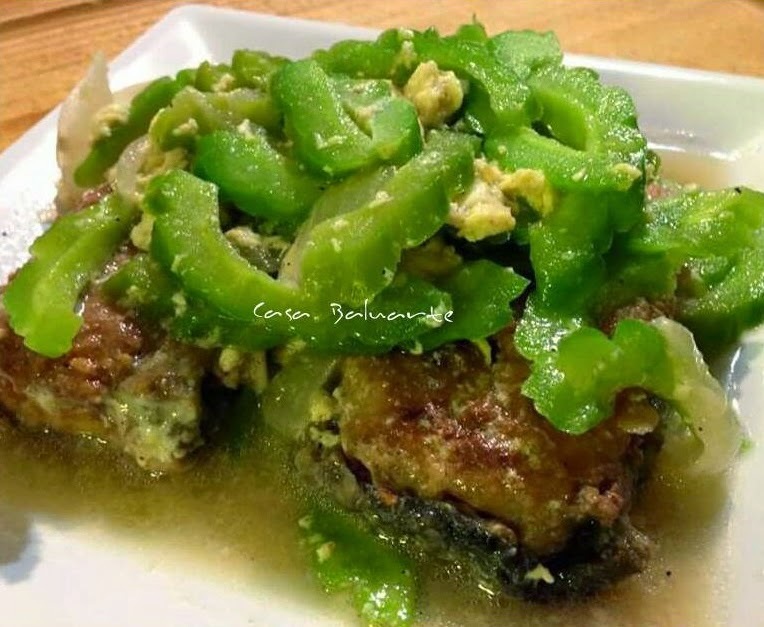 Return fried fish to the pan and cook for a minute. Add water and simmer for few minutes. Bring to a boil then simmer for 5 minutes over low heat. 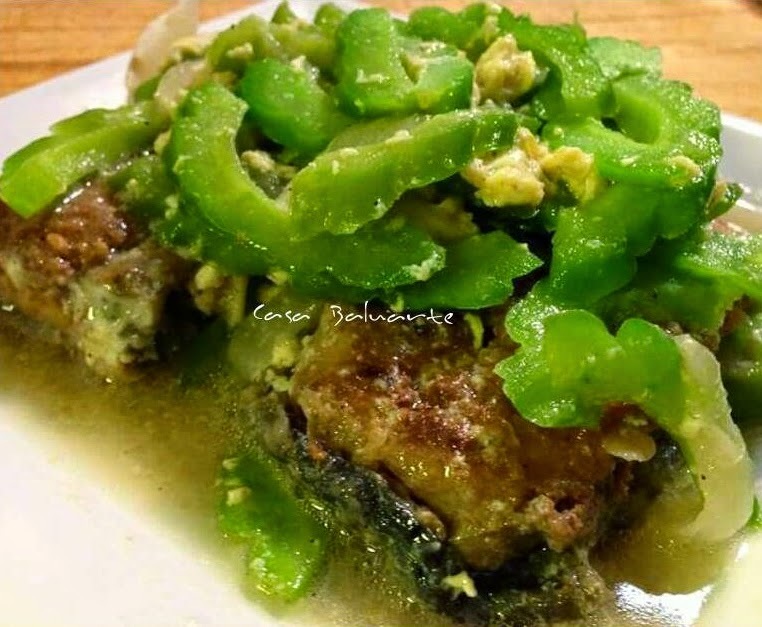 Add ampalaya to the pan and simmer for few minutes uncovered in low heat. Pour-in egg and simmer for 2 minutes. Stir gently. Transfer in a serving plate and serve with steam rice. Enjoy!